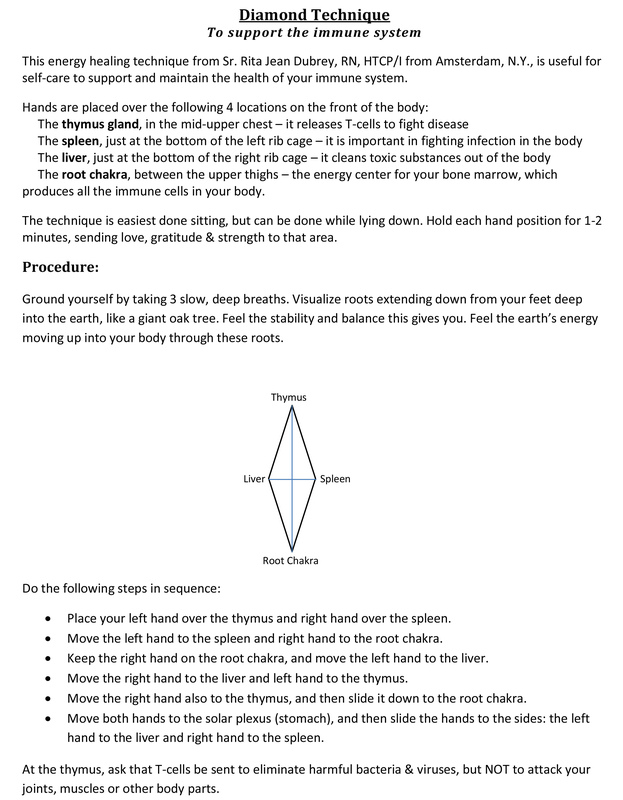 The Diamond Technique, developed by Sister Rita DuBrey, RN, HTCP/I in Amsterdam, NY, is a brief, simple yet powerful method of energetically strengthening the immune system. You can do this technique on yourself or on another person. 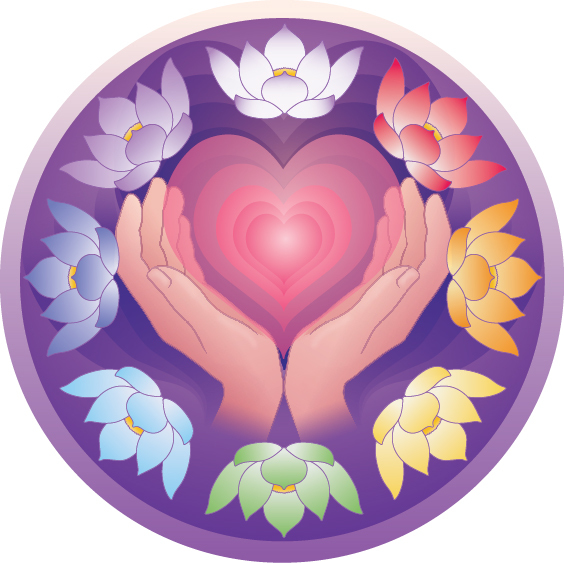 As with all healing methods, it is important to be centered and grounded before doing the technique. Daily use during the cold & flu season or when you are ill is a gift to your good health. Below is my video of this technique, with narration to guide you through the hand positions.